This isn't really a gear review, per se. Instead, it is more of a "DIY" article. With much of the United States under snow and ice advisories, it may be a good time to share some thoughts and tips on how to allow yourself to still run outside even when the ground is covered in snow and/or ice. Sure, you've got the layers worked out, you have your gloves and beanie to protect your hands and head, your buff to protect your neck and face, a long sleeve shirt and jacket to protect your core and your tights that you only pull out only when the temps dip into the single digits, but what about your footing? How do you make sure you stay upright and not slip and break a hip? Hopefully, this short "How To" will help you with that as well. Certainly, you could just go online or find your local retailer to purchase a set of those fancy traction devices. 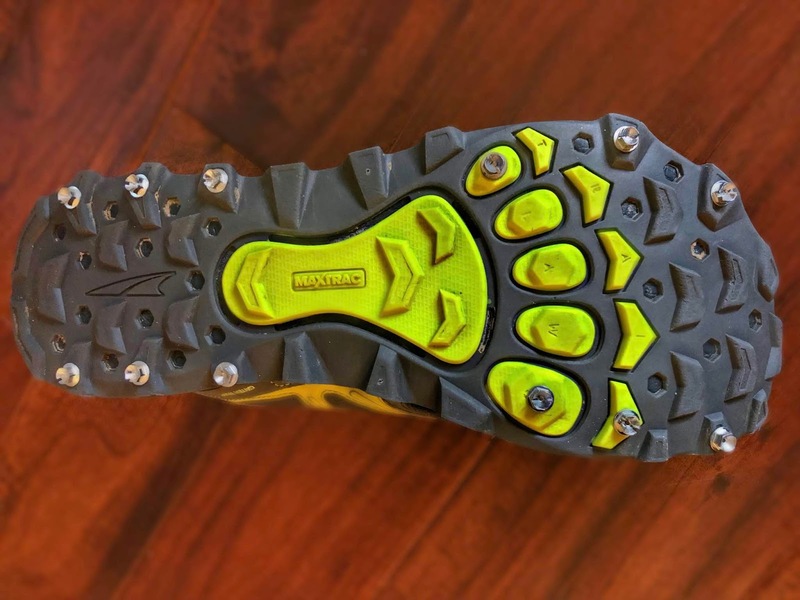 There are Kathoola Microspikes and Nanospikes, Yaktrax Pro and Run, Stabilicers, and so on. They are all great and provide a solid solution for different surfaces and conditions. The Kathoola devices work great on trails while the Yaktrax devices are great for roads. However, if you live in the regions that barely see any snow and ice, it is often hard to justify such a purchase. After all, you may never need them or only once or twice a year. However, there is a much cheaper and just as effective solution out there for all of us. First, go to your shoe closet and find an old pair of runners, trail shoes or road shoes will do. Second, you will need a traction device. This is where your local hardware store comes in. 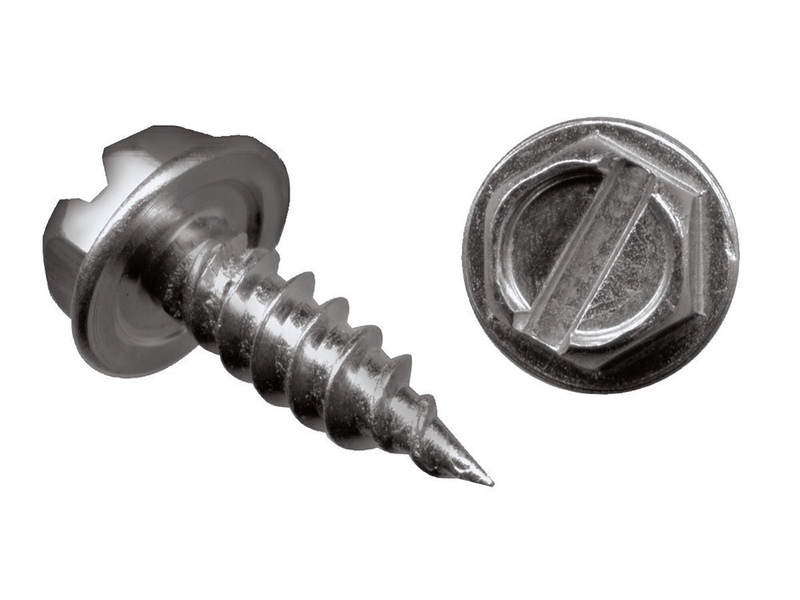 They all carry what are called sheet metal screws. They are available for very little money, just make sure they aren't very long. 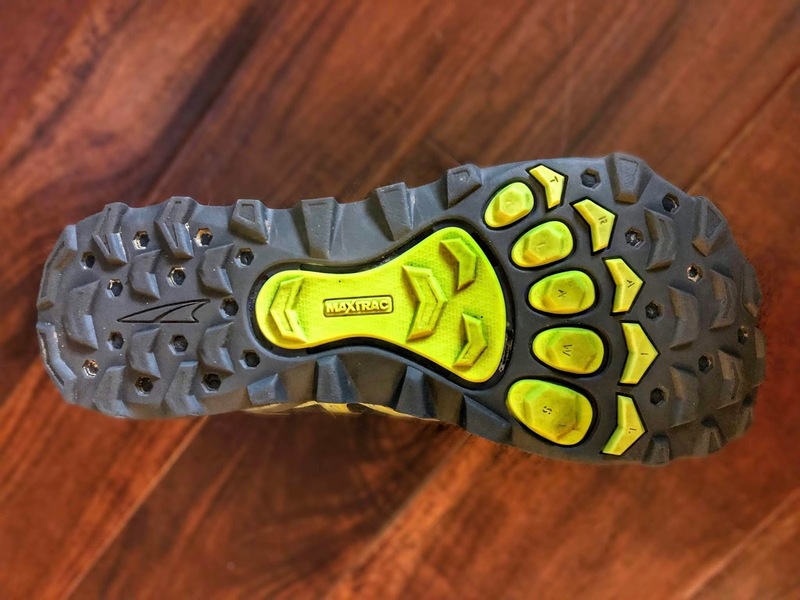 You must also make sure that your outer and midsoles are deep enough to take the full length of the screws once you screw them into the bottom of your old shoes. However, before you proceed, be sure to lay out and arrange the screw pattern for your traction shoes. Avoid placing them in the center of your shoes as that may prove uncomfortable when you step or jump on hard surfaces. Be sure to have traction near your "landing spots", both on your heels for walking and on your forefoot for running. The exact pattern is entirely up to you and nothing keeps you from rearranging the screws once you've been out there to test them. Hopefully, this little article has provided some useful info. If nothing else, it's another tool to get you outside this winter. Feel free to comment with similar ideas or other comments.